Anco FIT is the first gut agility activator on the market and is now available in more than 30 countries across the world. The focus is on empowering adaptability in the animal for greater resilience. Scientific evidence suggests that for genetic selection, improving ability of animals to cope with stressors may be a better way of improving performance than selecting only for increased growth potential. 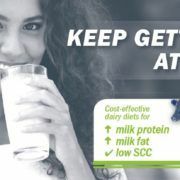 Therefore increasing the animal’s capability to adapt to nutritional stressors more adequately by nutritional means, offers a more immediate alternative to improve animal performance and competitive advantage in animal production. The gut is particularly responsive to different stressors. That is why the focus is on the gut to empower animals to cope with stressors. 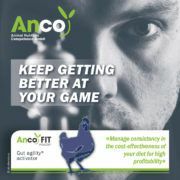 Contact us to find the nearest Anco FIT distributor to you.